Shop the Gorgeous Spring Sale PLUS Receive a free mini Intense Mask when you spend $60 or more! 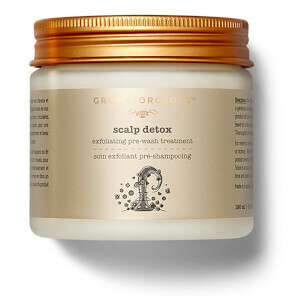 Say sayonara to split ends and hello to healthy, happy hair. 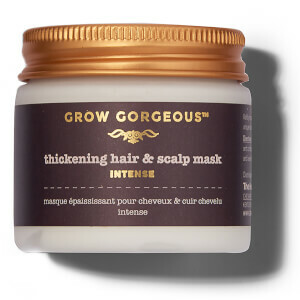 Grow Gorgeous End Split Ends nourishes and repairs the ends of your hair with an exotic blend of Amazonian oils, including acai, palm and Inca Inchi for stronger, reinforced strands that don’t feel weighed down or greasy. 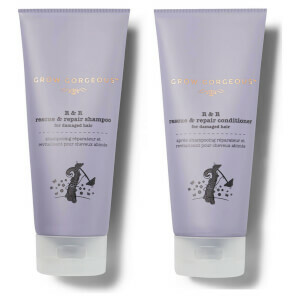 Sealing broken fibres and protecting the length, hair can grow long and strong. Hair Type: Dry, brittle hair that needs care and attention to the lengths. Inca Inchi oil locks in moisture and is exceptionally light so doesn’t weigh hair down. Acai oil contains essential fatty acids, including omega 3, 6 and 9 that have a high antioxidant values which help protect hair from becoming weak and brittle from the everyday elements and outdoor pollution. Plukenetia Volubilis Seed oil is known to help restore the lipid layer around the hair, making it more resistant to breakage and damage. Apply a few drops to the palm of your hands and rub together. Work a small amount through the ends of damp hair and style as normal. Aqua (Water), C13–14 Isoparaffin, Glycerin, Cyclopentasiloxane, Cetearyl Isononanoate, Aminopropyl Dimethicone, Avena Strigosa Seed Extract, Oenocarpus Bataua Fruit Oil, Euterpe Oleracea Fruit Oil, Plukenetia Volubilis Seed Oil, Ceteareth-20, Cetearyl Alcohol, Cetyl Palmitate, Sodium Polyacrylate, Glyceryl Stearate, Lecithin, Silicone Quaternium-22, Benzoic Acid, Ceteareth-12, Polyglyceryl-3 Caprate, Potassium Sorbate, Cocamidopropyl Betaine, Palmitamidopropyltrimonium Chloride, Citric Acid, Dipropylene Glycol, Tocopherol, Propylene Glycol, Chlorphenesin, Phenoxyethanol, Parfum (Fragrance), Cinnamyl Alcohol, Alpha-Isomethyl Ionone, Linalool, Limonene, Butylphenyl Methylpropional, Hydroxyisohexyl 3-Cyclohexene Carboxaldehyde. This product stinks like old lady, and makes your hair clumpy. Also, buyer beware!!! Grow Gorgeous, despite what the lead you to believe in the customer service section about returns, DOES NOT TAKE RETURNS!!! What beauty company in this day and age doesn't guaruntee their product?!? I have got fine hair and I get split ends very easily. I like End Split Ends because it's very nourishing but not greasy, so it helps to maintain my hair in good condition. I put a little bit on my ends after washing my hair, on towel-dried hair. I definitely recommend it to people with fine and damaged hair who are looking for a non-greasy but effective product.